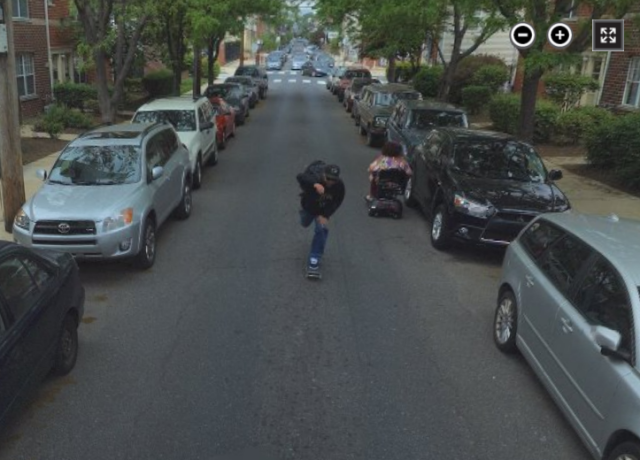 Some time over this past year I found myself skat­ing from Center City to South Philly and hap­pened to encounter the Bing Streetside car film­ing in old city. I chased the bing car from 2nd and Market to 2nd and Chestnut or Walnut but unfor­tu­nately only the first glimpse of me has been updated in Old City as seen above. 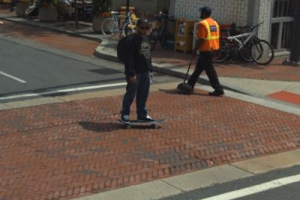 Fortunately that same day on the same skate I crossed paths again with the bing car at 4th and Christian where I was able to chase it down for the entire block until we got to Washington and we had to part and go our sep­a­rate ways. 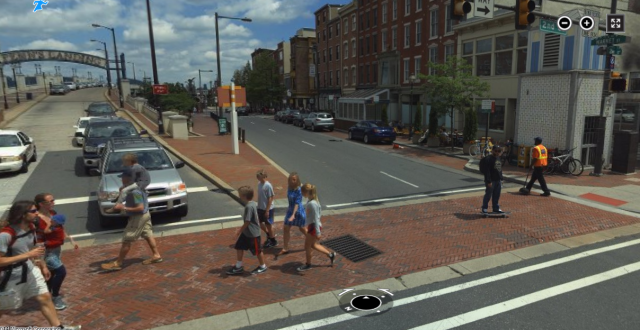 That bit of Bing Streetside (it’s tough to resist the urge to write ’google streetview’) has been updated and I put together a quick video of the stills the whole way down the block below. This is great!! You are funny as hell.